I just re-found this list in my Ever Note files. 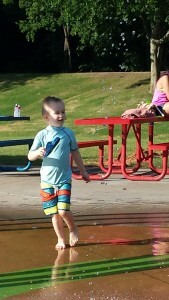 Thought it would be fun to share on the boys’ blog. You can see that we went with the first name, “Rowan” because it was the one name that appeared on mine, Donald’s and Forest’s lists of names we liked. 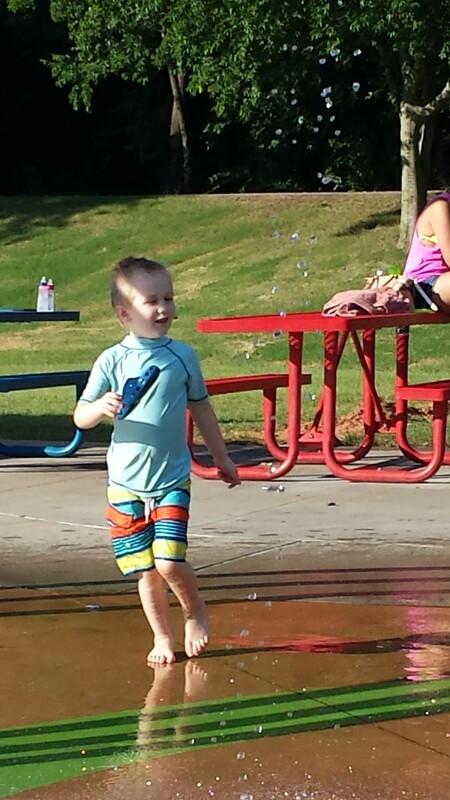 Rowan has been pulling up to standing for several days now. 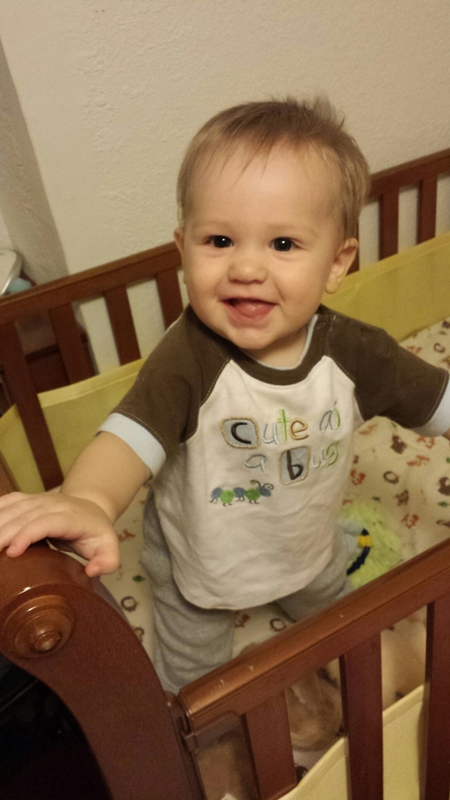 He gets really excited when he pulls up, and he has been able to reach more things that we haven’t baby proofed yet. Yesterday, Rowan started “talking” again! He had been doing cooing and pre-babbling around 2 months old up until I returned to work when he was 3 months old. He then stopped for a few months, maybe because he was working on using his hands and on crawling. Out of the blue, he just started babbling again yesterday, and I had so much fun talking with him. Also, Rowan started really showing significant interest in solid food yesterday. He finished up his sweet potato-apple puree, and Daddy fed him some peach-mango. I want to try offering rice cereal again tonight. He hadn’t been a fan of that previously. 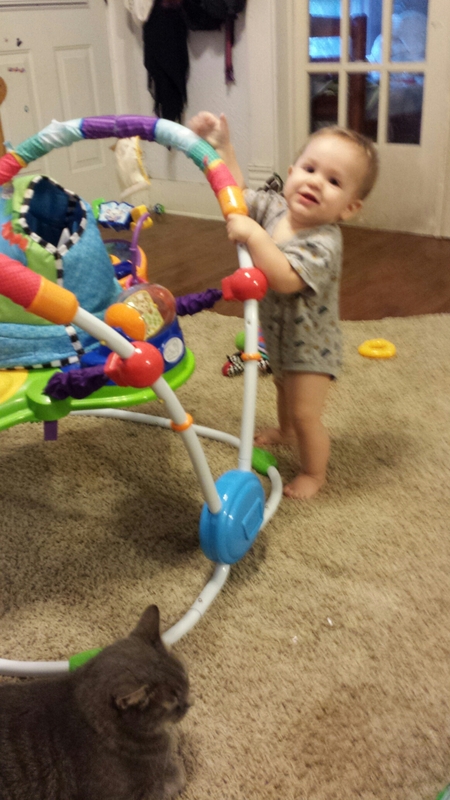 At 6 months old, he’s really been taking off crawling, and he’s pretty fast now. 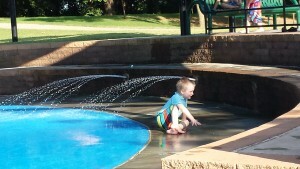 He’s also showing some early interest in reaching and climbing. 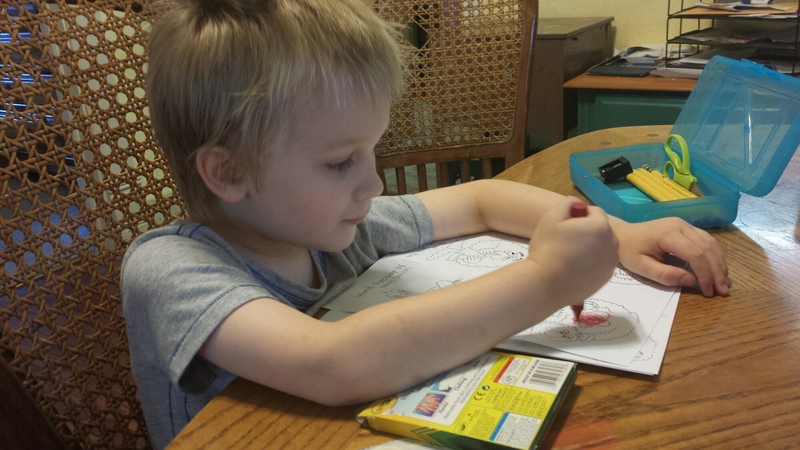 First time ever for Forest to do school homework. Forest asked me to lie down with him when it was his bedtime. 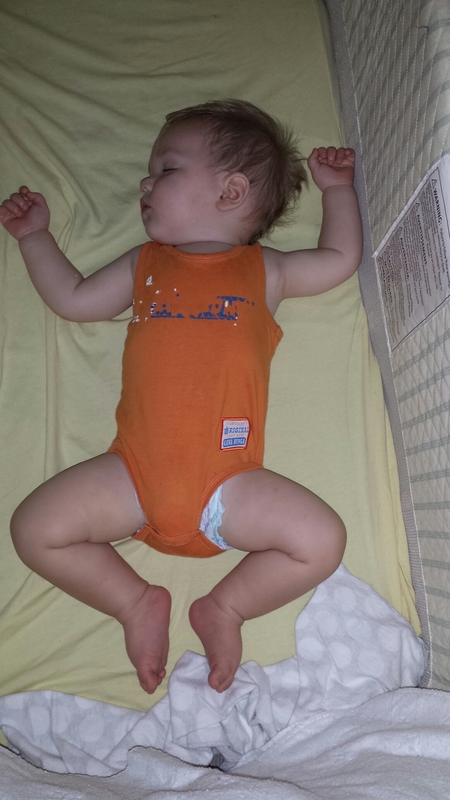 But Rowan was fussing, so I said I could walk the baby around in his room while he fell asleep. 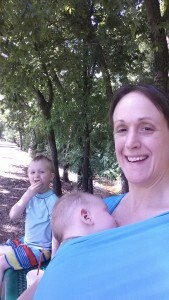 Forest countered, “well Mom, can you nurse him lying down? He wants to nurse.” So I did, and this was the result. 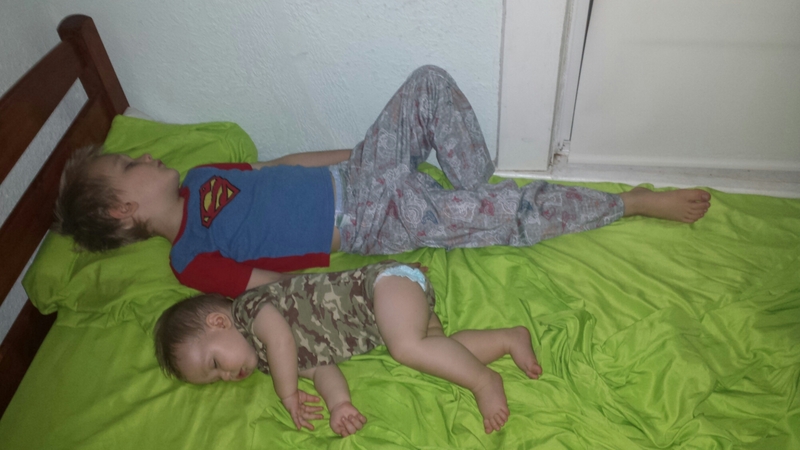 Two boys asleep with half the effort. 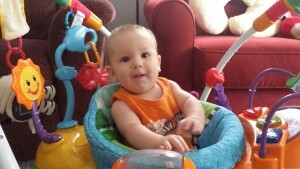 Rowan is 5 Months Old Today; oh yeah, and happy Independence Day, too. At five months old, Rowan enjoys getting his toys with his hands, putting toys in his mouth, and scooting backwards or in a circle. He likes watching his big brother’s antics, nursing with Mommy, and looking at things with Daddy. 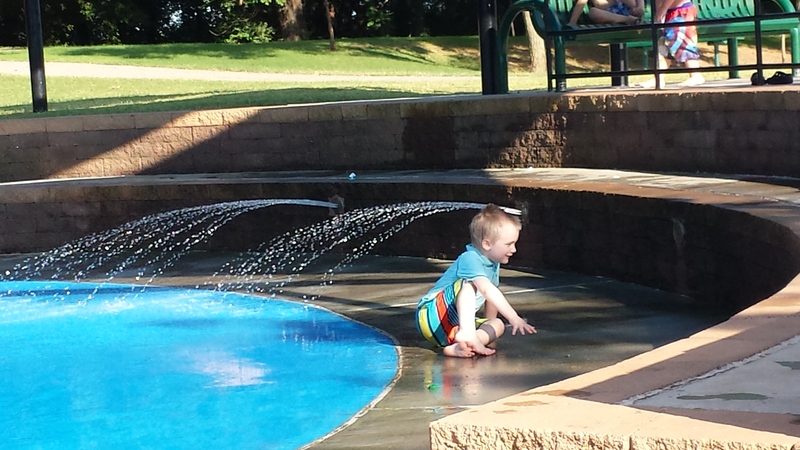 Daddy had a state chess tournament this weekend, so I took the kids to Oklahoma City on Saturday to ride elevators and to a splash park in Harrah on Sunday afternoon. I had showed Forest a picture of the Downtown Oklahoma City Library, and he thought it looked like a really interesting place to ride elevators. 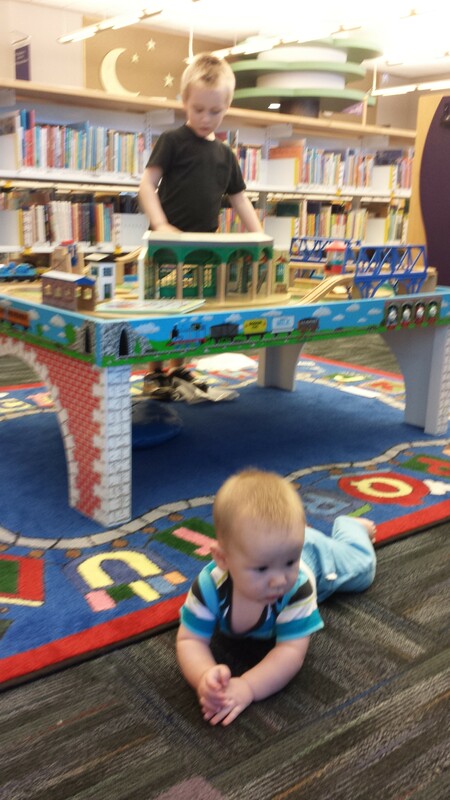 So we did that, and we also played in the children’s area. 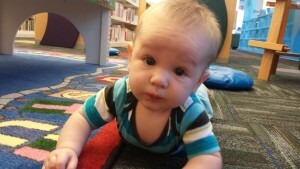 Rowan got to do some tummy time at the library. 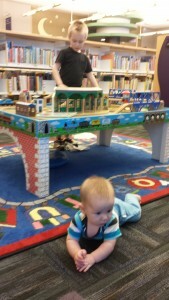 Forest had fun playing with the train table. I enjoyed visiting with library friends of mine, Sharon T., Sharon B., Phyllis, and Brock. Sharon T. took him on a special tour in the STAFF elevator to the 4th floor which was otherwise closed that day! 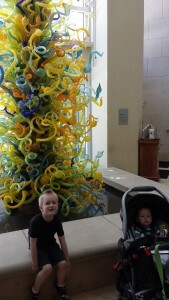 We also visited the Oklahoma City Art Museum, and Forest was very impressed by the tower of glass sculptures by Chihuly. Forest wondered why I wouldn’t let him touch the Chihuly sculpture. I could just imagine a giant crash of glass causing our family to be in debt for generations to repay the art museum. Fortunately, there were no incidents.